In the Dr. Seuss book, How the Grinch Stole Christmas, the title character says he is grumpy because of “the noise, noise, noise, noise” from his neighbors. Anyone who has stayed in a hotel or lived in multi-family housing and endured the TVs, stereos, snoring, and talking of others can empathize. In the United States, the most common complaint of hotel guests—accounting for 65 percent—is noise from other guests. Walls, partitions, and floor/ceiling assemblies separating dwelling units and sleeping units from each other or from public or service areas shall have a sound transmission class [STC] of not less than 50, or not less than 45 if field-tested, for airborne noise when tested in accordance with ASTM E90 [Standard Test Method for Laboratory Measurement of Airborne Sound Transmission Loss of Building Partitions and Elements]. Penetrations or openings in construction assemblies for piping; electrical devices; recessed cabinets; bathtubs; soffits; or heating, ventilating, or exhaust ducts shall be sealed, lined, insulated, or otherwise-treated to maintain the required ratings. This requirement shall not apply to entrance doors; however, such doors shall be tight-fitting to the frame and sill. A sound attenuation level of 50 means loud speech is inaudible and stereos can only faintly be heard. For high-end hotels and luxury condos where people expect especially quiet interiors, project teams often target STC ratings above code, such as STC 55 or 60. Ways to attenuate sound through walls, floors, and ceilings include adding mass and decoupling components to the assembly to reduce paths along which sound energy can travel. In stick-framed light-commercial construction, the STC 50 code requirement is traditionally achieved in one of two ways. The first is to specify two rows of 2×4 studs staggered between the wall faces, with sound-absorbing material placed on one side for STC 55. The second way is to build a double wall on a common 2×6 floor plate, with absorptive material on both sides, achieving STC 57. Unfortunately, both these types of stick-framed assemblies are time-consuming and material-intensive. To simplify construction of STC 50-plus walls, a new type of assembly using structural insulated panels (SIPs) has been developed. 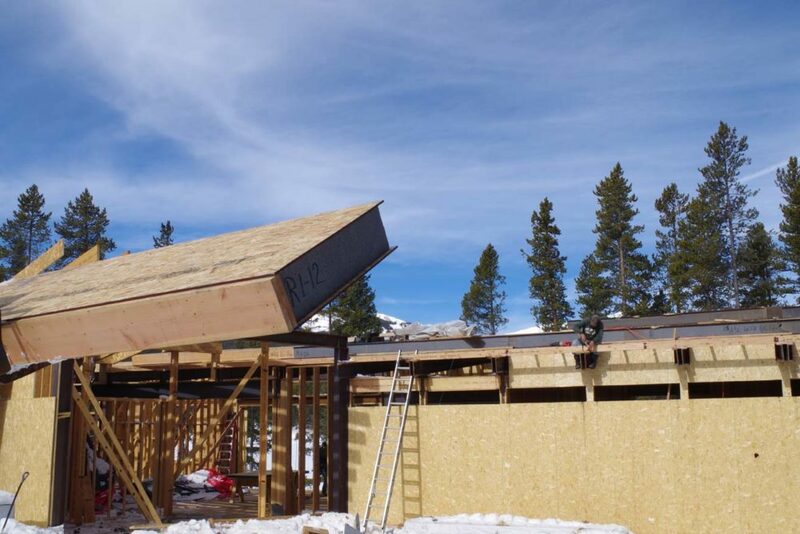 As monolithic wall units with continuous insulation and fewer gaps to seal than stick-built framing, SIPs are airtight and effective at stopping airborne ambient noise. However, the panels themselves are less effective at blocking low-frequency sounds. To overcome this hurdle, a new set of wall assemblies uses a proprietary clip, gypsum wallboard, and fiberglass batt insulation, which have been independently tested to yield STC ratings of 48, 52, 58, and 59. The heart of each assembly is a standard SIP comprising an insulating foam core and oriented strand board (OSB) skins on both faces. Directly attached to one side of the panels is 16-mm (5/8-in.) Type X gypsum wallboard. On the other side, a clip attaches to the SIP with a screw. Hat channels are then snapped into the clip, and 16-mm Type X gypsum is fastened to the hat channel. An 89-mm (3 ½-in.) 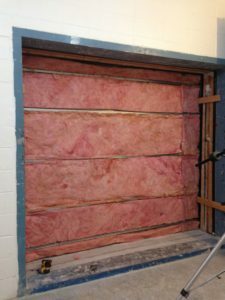 foam-core SIP with gypsum wallboard, clip system, and fiberglass batts yields a high sound transmission class (STC). The clip minimizes the contact area of the various layers of the assembly, helping decouple the assembly and reduce sound transmission, while the entire assembly provides sound-blocking mass. Additional sound dampening is achieved by adding 64-mm (2 ½-in.) fiberglass batt insulation between the SIP and gypsum in the space created by the clip. The assemblies are non-directional, so the clip can be installed on whichever side of the wall the architect prefers. Using one layer of gypsum on each side of the SIP yields an assembly with either STC 48 or STC 52, depending on the type of clip used to attach to the SIP OSB. Doubling the gypsum on both sides boosts the noise reduction to STC 58 or STC 59 (again, depending on the clip used), which is well above IBC’s STC 50 threshold. Assemblies with double layers of gypsum also achieve one-hour fire ratings, which add another dimension of performance wherever an hourly fire-rated wall is required. Yet, for those interior partition walls that do not need to be fire-rated, the single-layer gypsum assemblies work well, as they still achieve STC 48 and STC 52. Laboratory testing of STC rating for SIP wall assembly. All these SIP assemblies are significantly easier to construct than typical wall types used to achieve STC 50 or higher ratings. This is because contractors can quickly install up to 7.3-m (24-ft) sections of SIP wall panels, which can help them address the framing labor shortages they face. The panels of floor-to-ceiling height can simply be dropped into place for a very fast assembly process. Then, the clip assembly enables quick installation of the off-set gypsum wallboard. While STC-rated interior walls are a new use for SIPs, the panels continue to grow in popularity for high-performance building envelopes. SIPs offer continuous insulation, with few, if any, thermal bridges and reduced convective looping within the wall assembly. Now, a new type of rigid foam core is available that further boosts the panels’ R-values. These cores are graphite polystyrene (GPS), which is an expanded polystyrene (EPS)-based insulating material that integrates high-purity graphite throughout the EPS polymer matrix (insulation bead). The graphite enhances the insulation’s R-value by reflecting heat energy, especially as temperatures decrease. Used in SIPs, GPS insulation provides two key benefits. First, it boosts the panel’s R-values more than 20 percent higher than traditional SIPs. Second, building professionals can specify thinner panels in some cases (e.g. for roofs) while still meeting energy code requirements. This, in turn, can reduce freight costs, along with the size and thickness of accessories such as fasteners and lumber (if needed). SIPs have been used successfully in all types of residential and light commercial construction for several decades. The panels have primarily been incorporated into high-performance building envelopes, but based on extensive research and testing, they are now being adapted for other building applications, including as sound-attenuating interior walls. Other recent advances include further enhancements to SIP insulating foam cores, providing even greater energy efficiency. 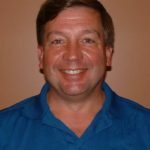 Joe Pasma, PE, is the technical manager for Premier SIPs by Insulfoam, a division of Carlisle Construction Materials. He has more than 35 years of experience in the building industry, including structural engineering, product development, and application of building science principles. He can be reached at joe.pasma@premiersips.com.